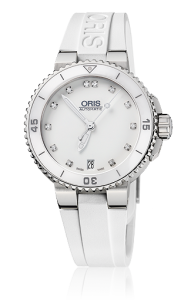 Oris Diver Aquis Lady with diamond dial. Elegant and Sporty! Stainless Steel 36mm case, automatic movement, date, with white diamond dial set with 12 diamonds. 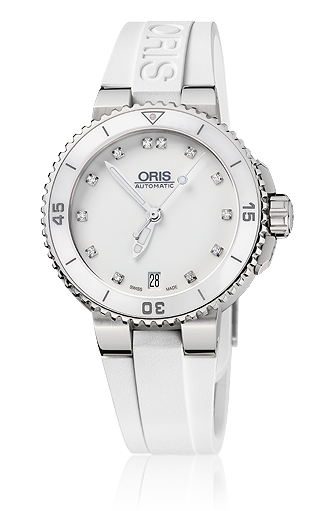 It features a see through sapphire glass exhibition back with the visible Oris red rotor. Available on sporty white rubber strap with folding buckle.